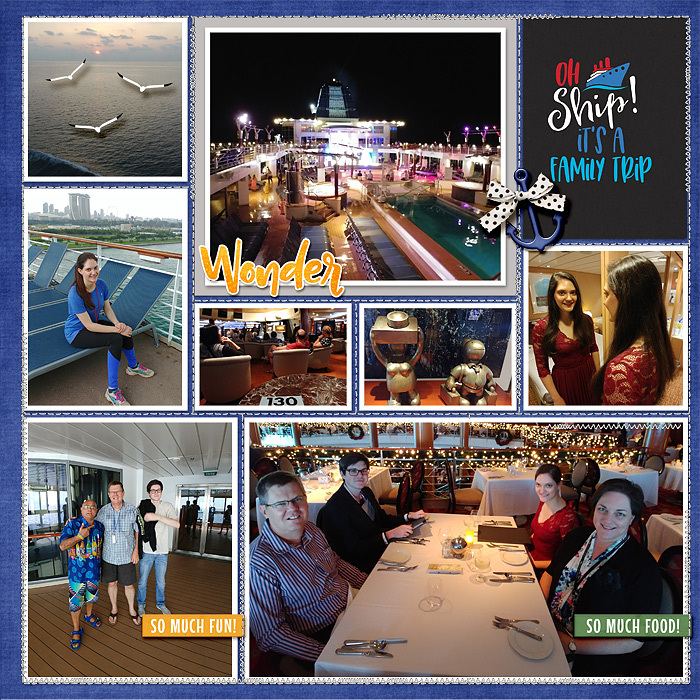 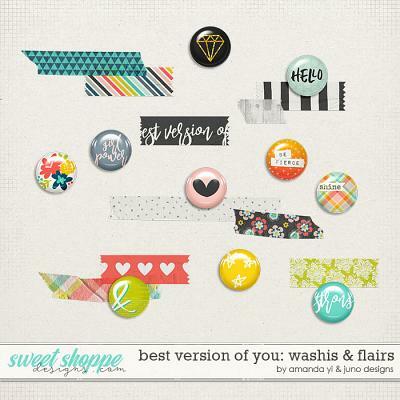 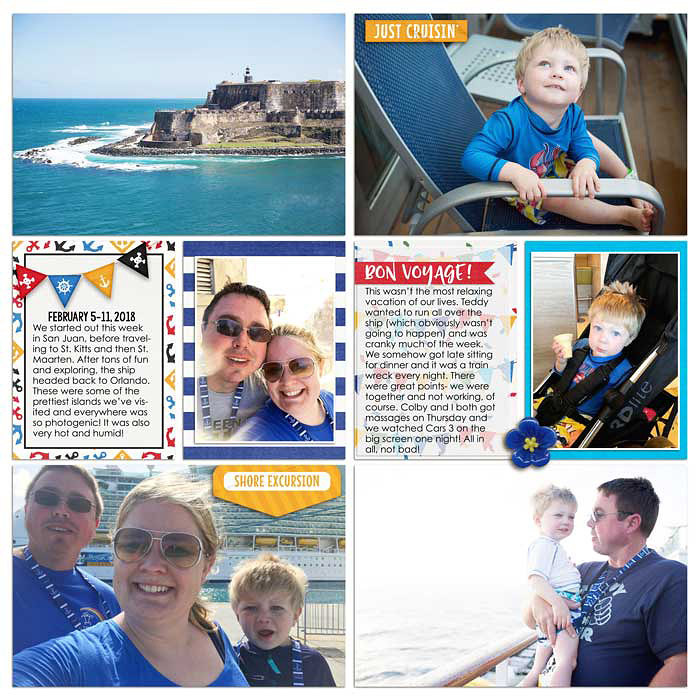 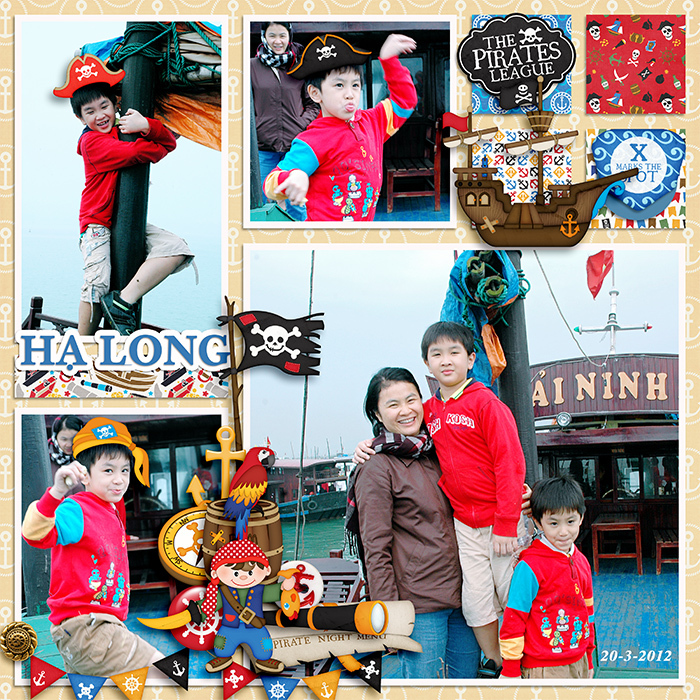 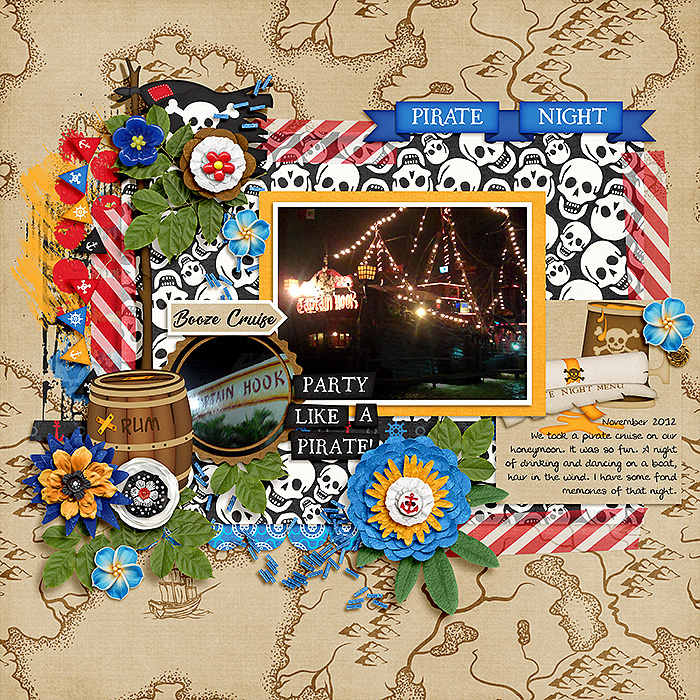 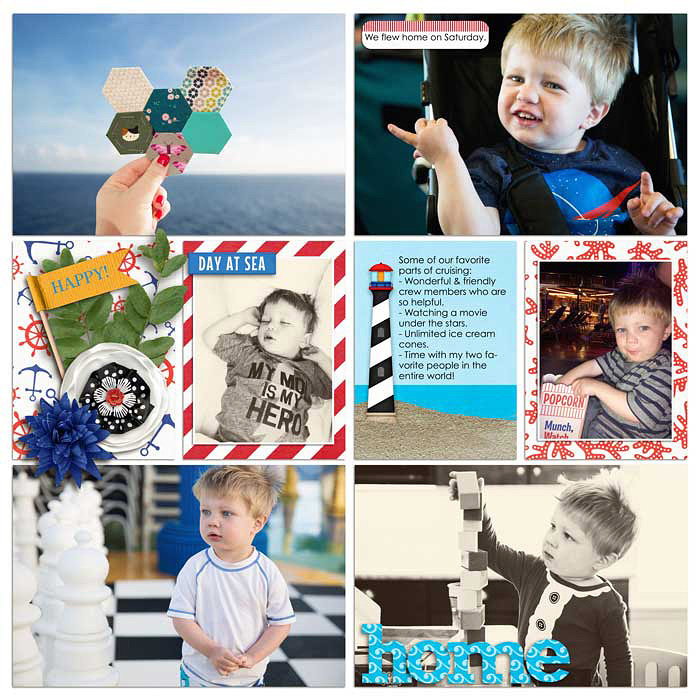 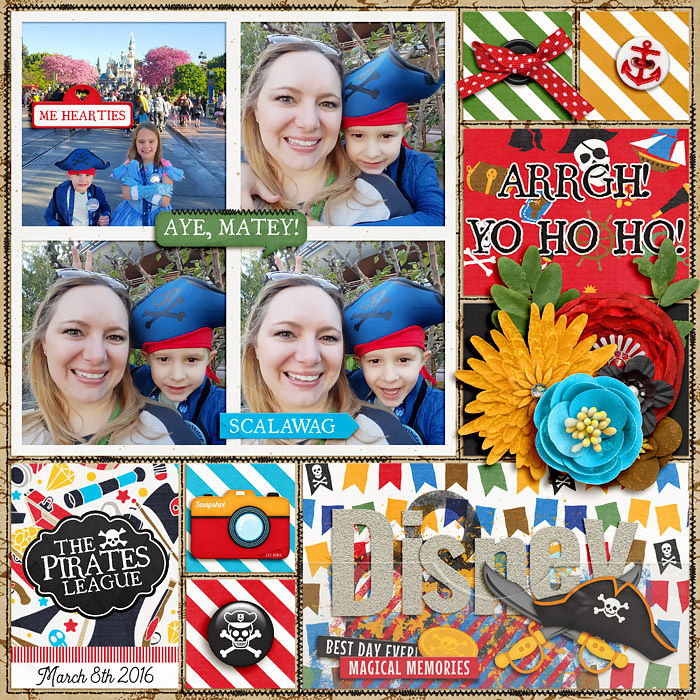 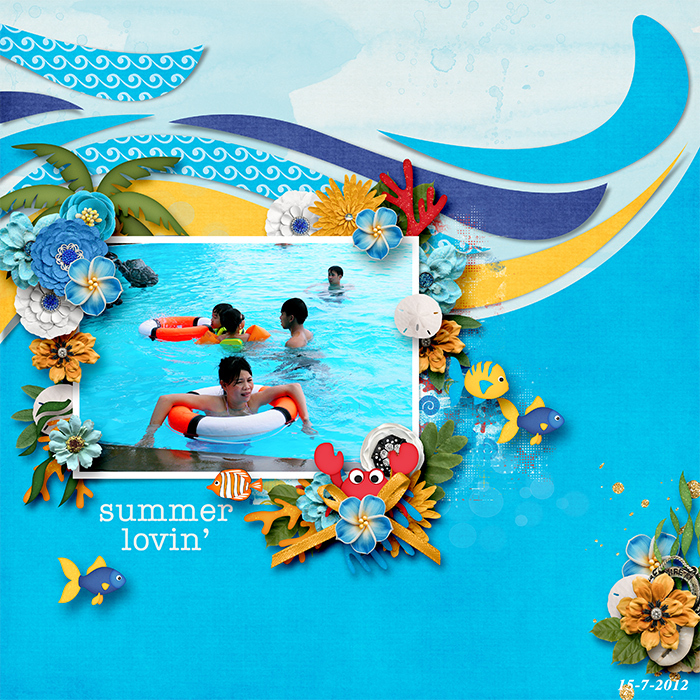 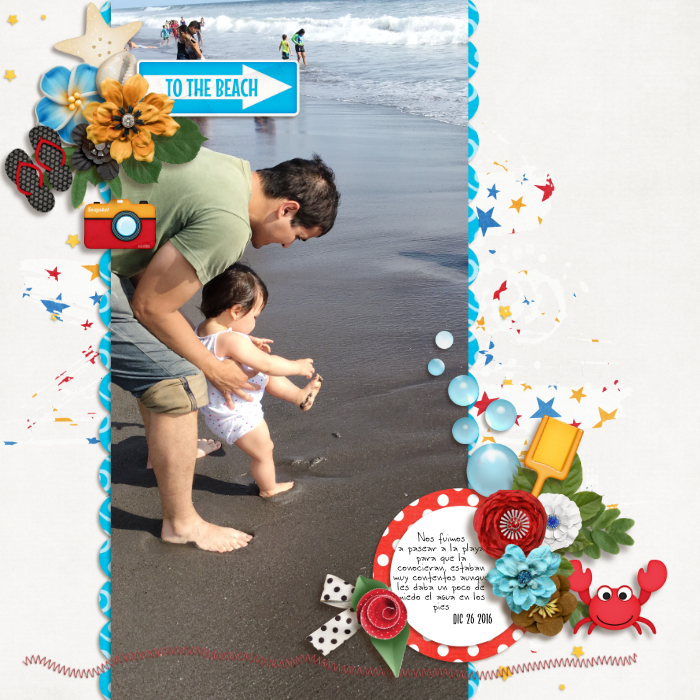 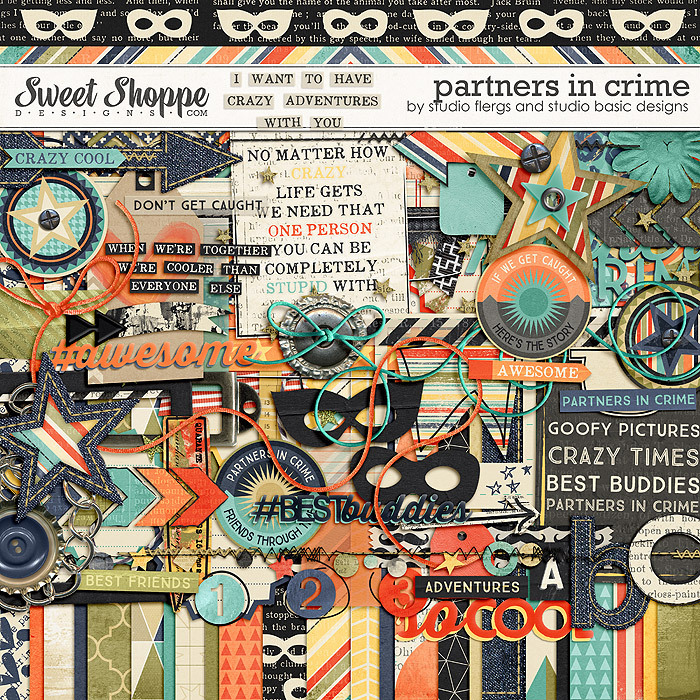 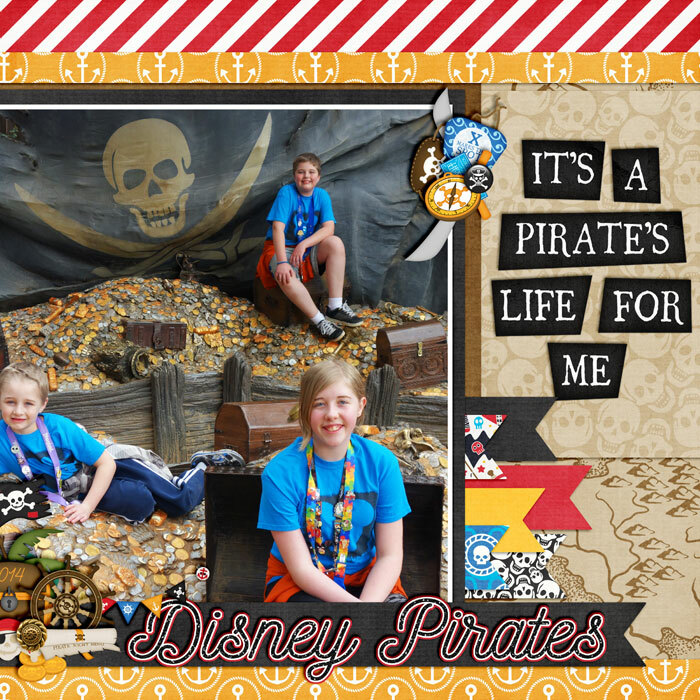 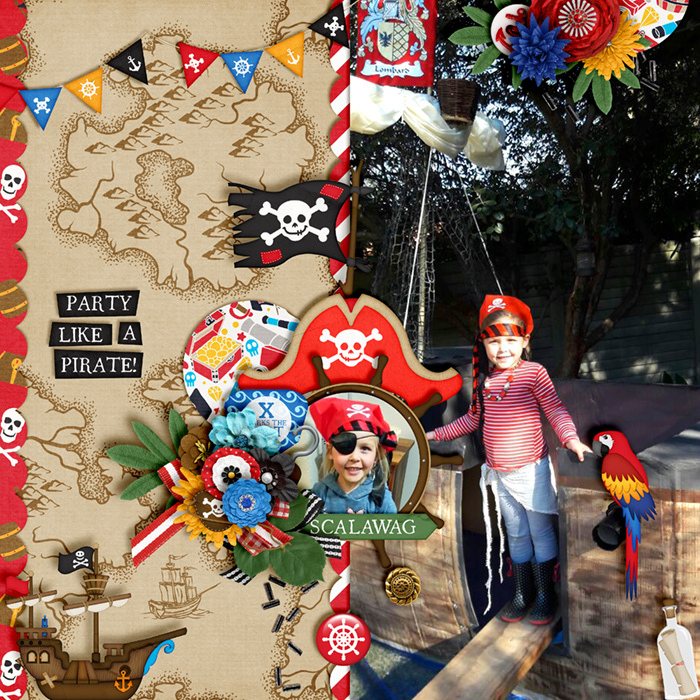 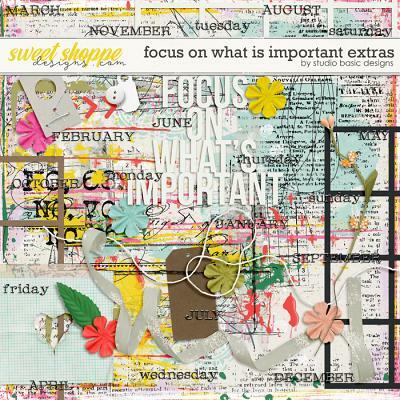 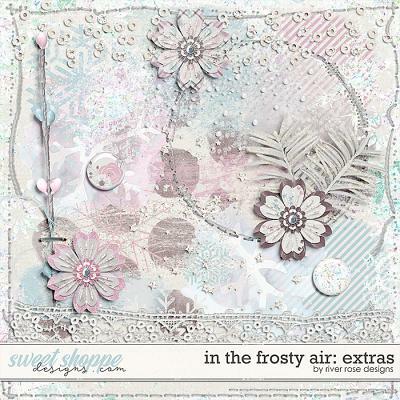 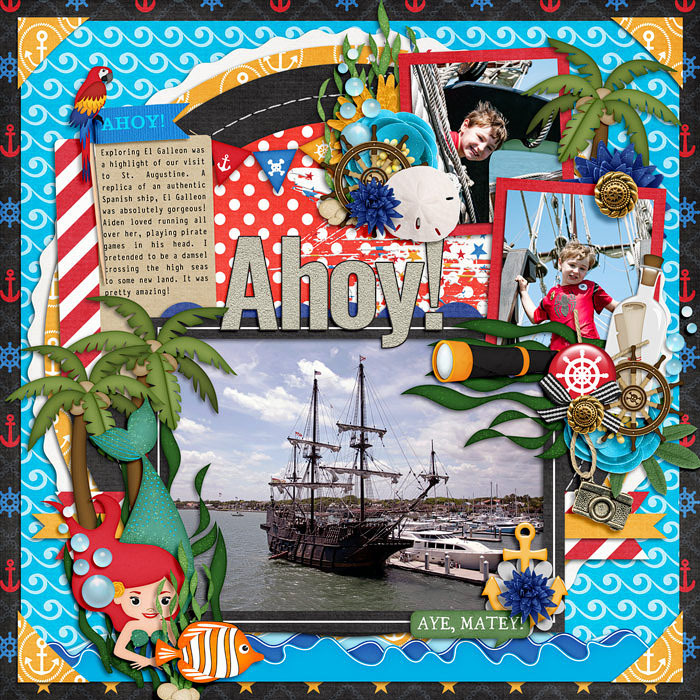 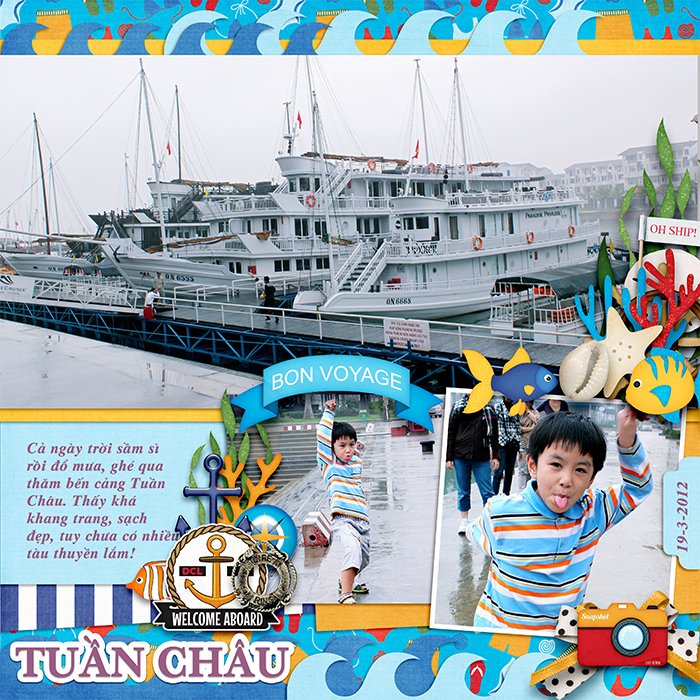 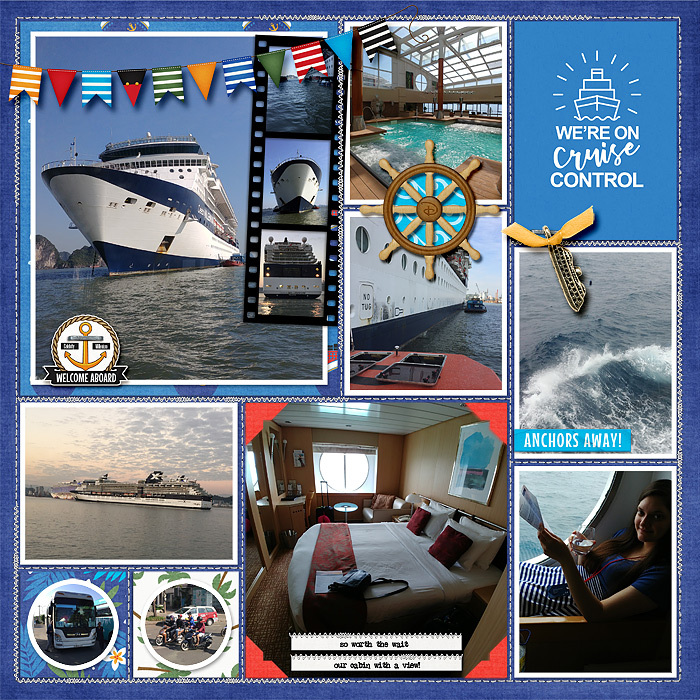 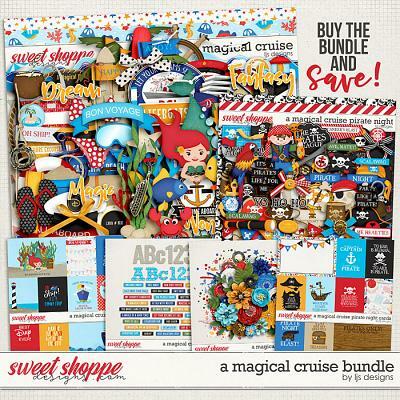 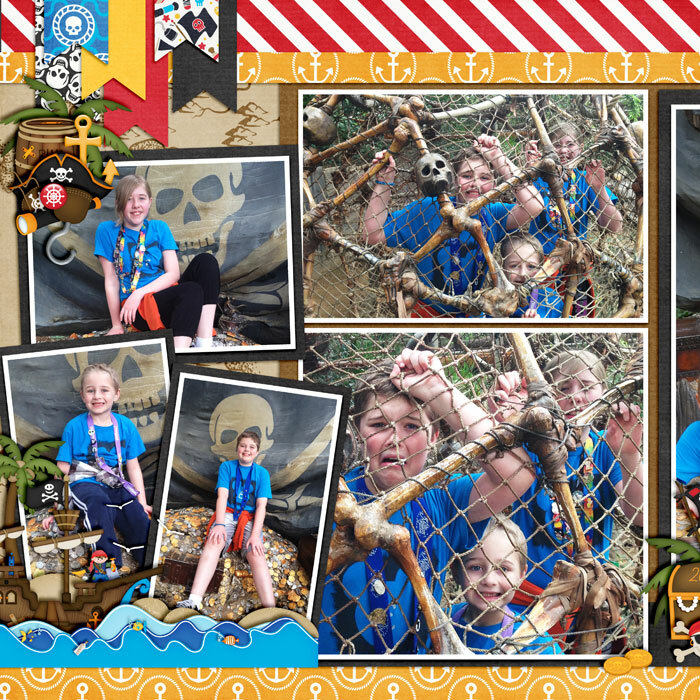 A digital scrapbooking kit by LJS Designs, A Magical Cruise has everything you need to scrap your Disney Cruise. 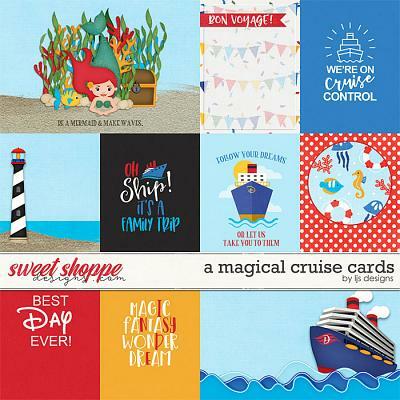 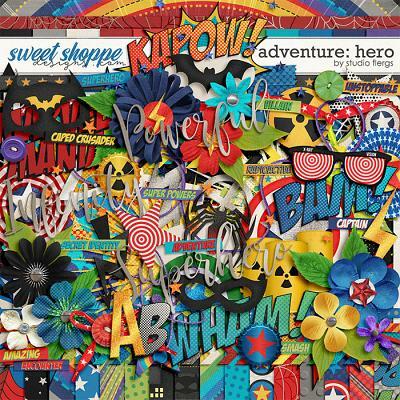 With it bright color palette, fun paper patterns, and a ton of themed elements, A Magical Cruise will take your Disney Cruise scrapbook from arrival to departure and highlight all the fun activities on the water or at the beach. 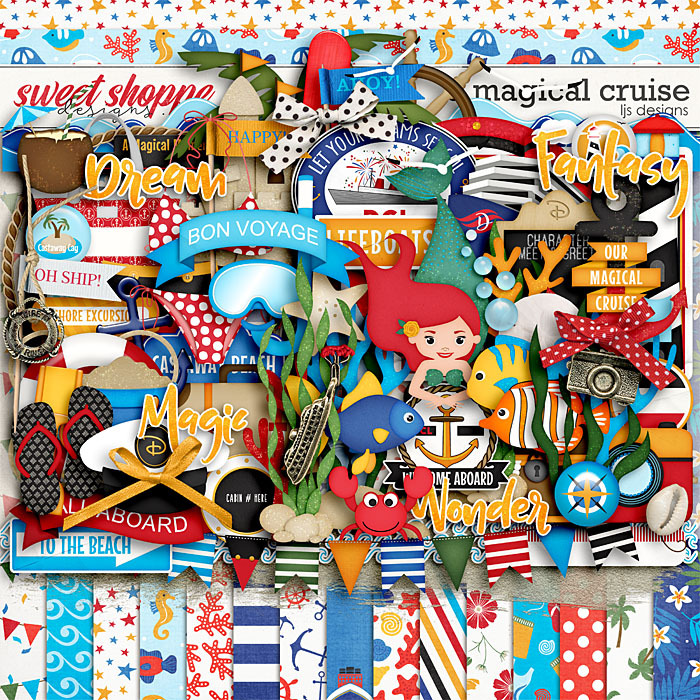 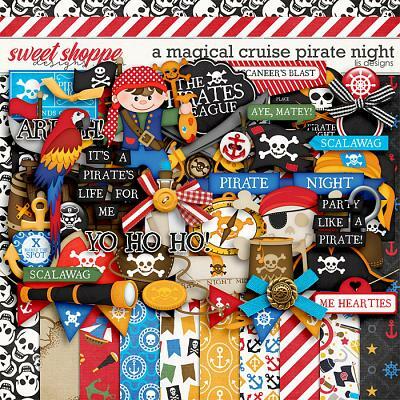 126 elements: 2 anchors, bag, 2 banners, 2 bikinis, 3 bows, bubbles, cabin door number, camera, captain's hat, 3 charms, 3 coral, crab, cruise ship, drink, 3 fish, 4 flags, 3 flairs, flipflops, 4 frames, hoot, knot, 5 labels, life preserver, lighthouse, mermaid, paddle, pail, palm tree, rocks, sand, sand castle, seagulls, 2 seaweed, 2 shells, ship's wheel, shovel, 4 signs, snorkel mask, starfish, suitcase, swim trunks, 4 titles, treasure chest, 2 waves.